Welcome to the jungle. Army's 25th Infantry division learns a lesson. Welcome to the jungle. Army’s 25th Infantry division learns a lesson. It seems that they may actually have to apply this training sometime in the near future. 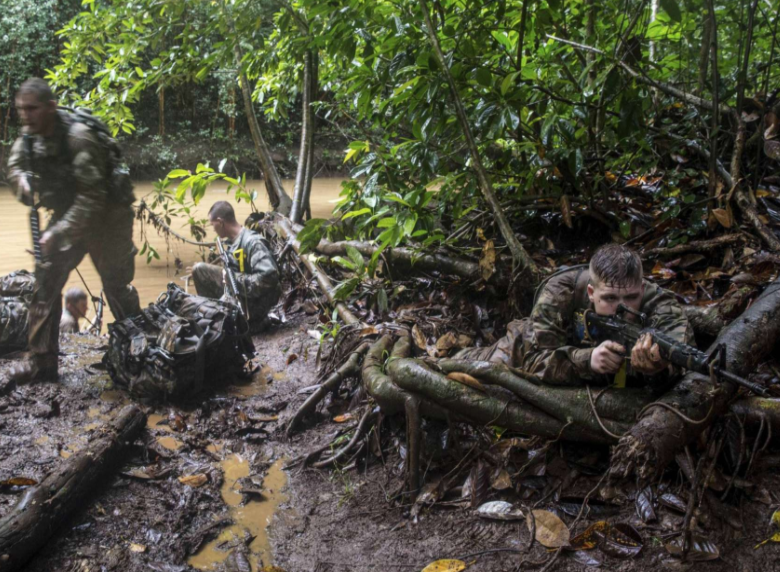 They are scenes reminiscent of the Vietnam War and the Pacific Theater during World War II: U.S. soldiers, caked with mud and dripping wet from monsoon rains, quietly traversing thick jungle brush. But instead of southeast Asia, these are the Hawaiian jungles northwest of Honolulu, where the U.S. Army’s 25th Infantry Division is training some of our military’s bravest men and women to fight and survive in this unique terrain. It’s a less familiar sight for this generation’s soldiers, who have spent years patrolling the desert, mountain and urban landscapes of Iraq and Afghanistan. 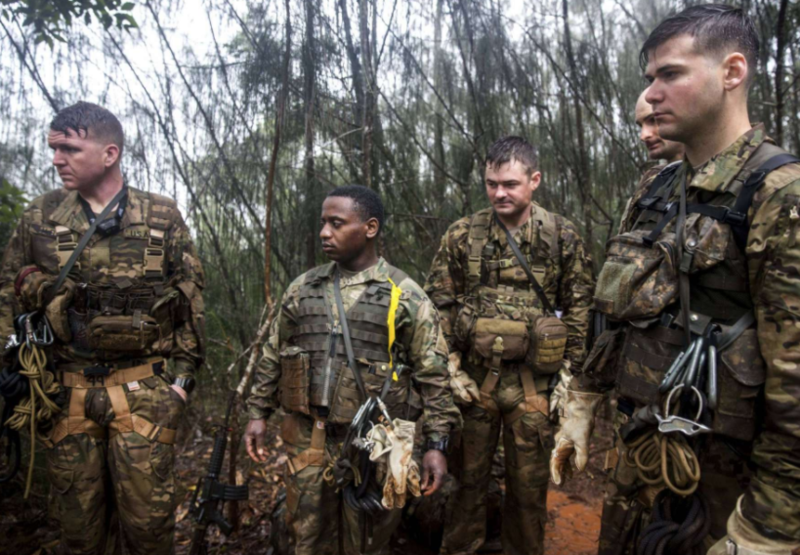 “Understanding how to fight in the jungles is invaluable training to us right now,” says First Sergeant George Feghali of the 25th Infantry Division, who is training at the 25th ID’s Lighting Academy in Wahiawa on the island of Oahu. 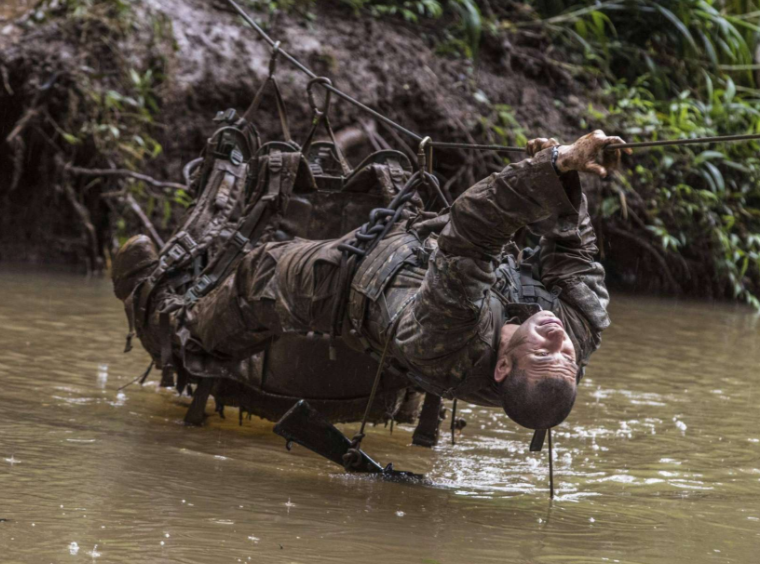 The academy is the U.S. Army’s first jungle training school since the last one, based in Panama, closed in 1999. 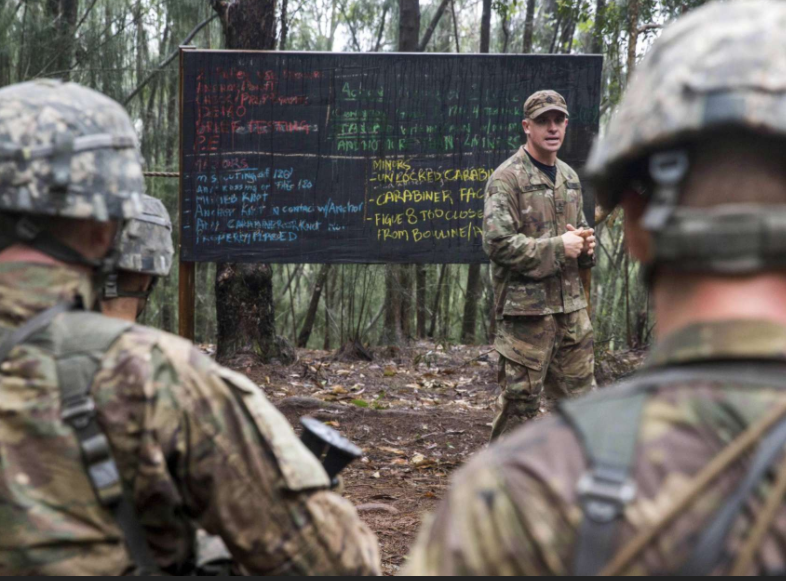 While no one here can talk military strategy or policy, Lightning Academy was established at a time when ISIS, Al Qaeda and other extremist groups are gaining traction in the Pacific region, specifically in the Philippines, Indonesia and Malaysia. And while there are no jungles in North Korea, heightened tension created by Kim Jong Un’s nuclear ambitions is another reason why preparing soldiers for deployment outside of Iraq and Afghanistan is vital training. One difference is sound. While the desert wars are synonymous with the rumble of armored Humvees, here in the jungle soldiers listen for trickling water, shifting leaves and the light thud of boots on the ground. And where the desert is open and vast, the jungle is confining and inhibiting. Whats so special about Savages new MSR-15? Heres what Dennis Rodman Has to say about North Korea.